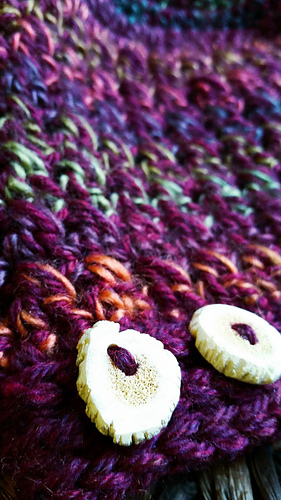 DOUBLE STRANDED worsted weight. 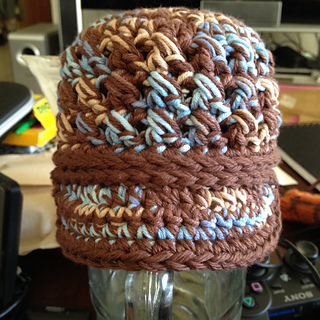 Hold 2 strands of worsted weight and work them together. 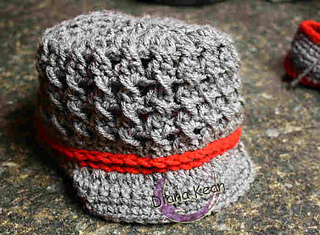 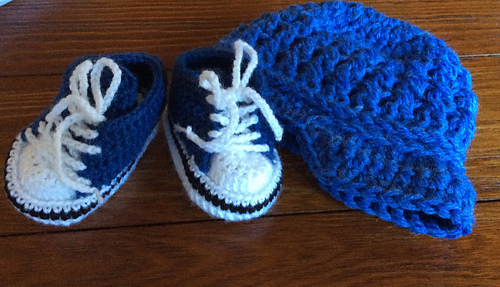 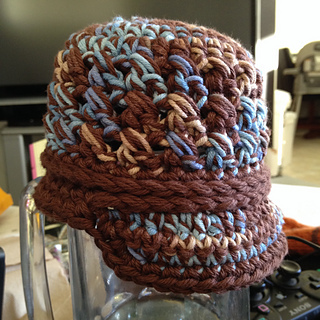 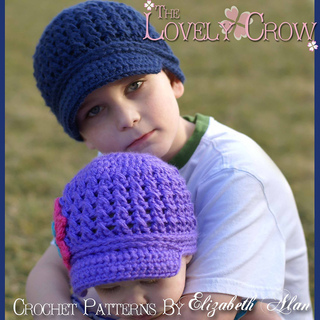 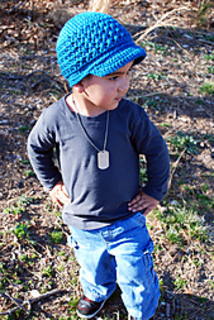 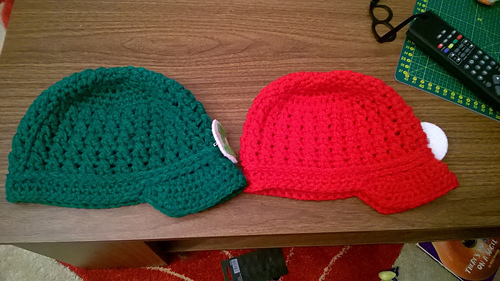 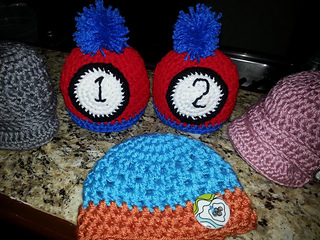 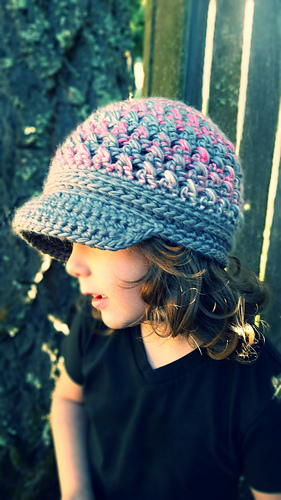 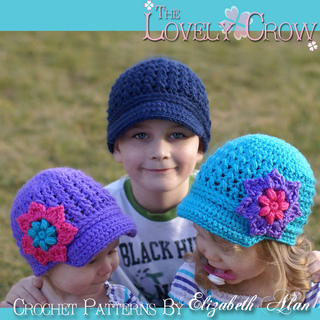 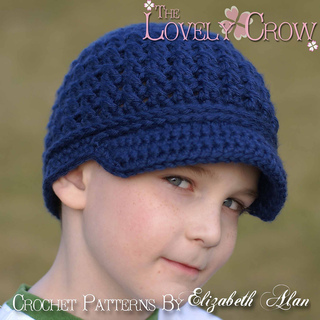 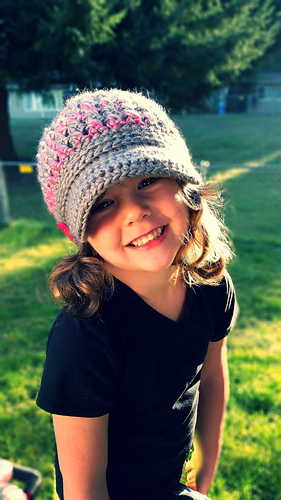 You’re looking at a crochet pattern for a super adorable newsboy beanie. 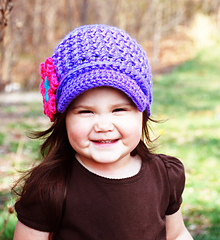 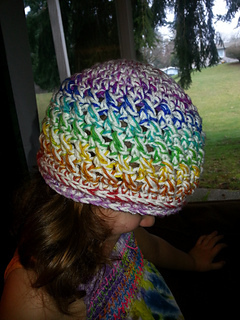 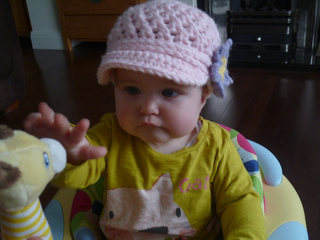 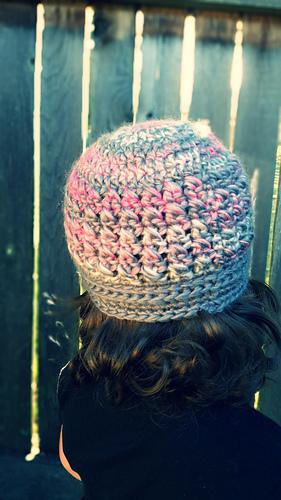 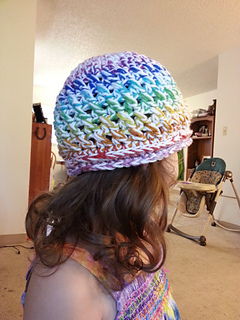 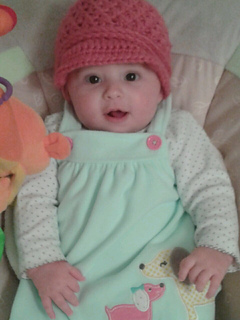 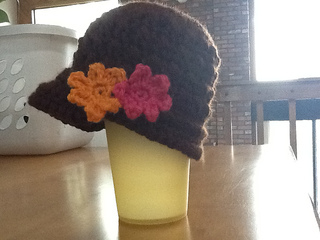 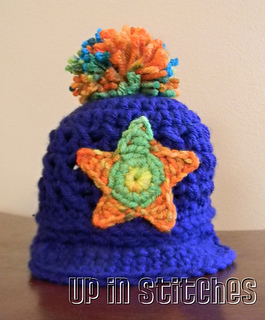 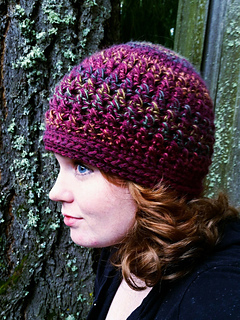 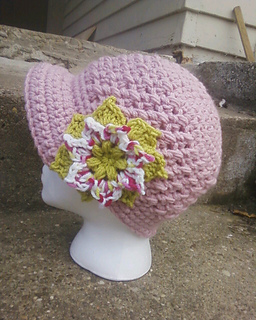 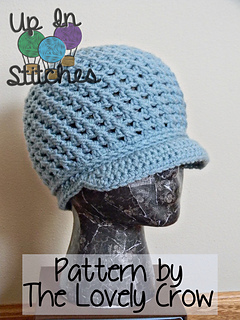 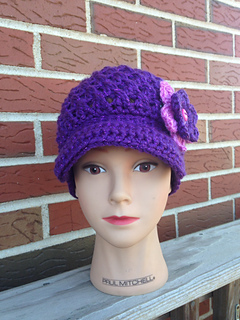 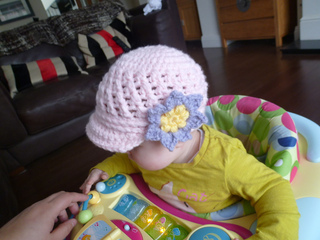 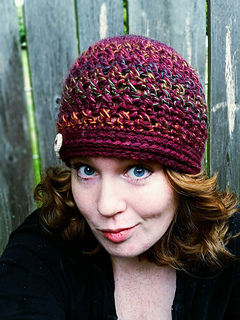 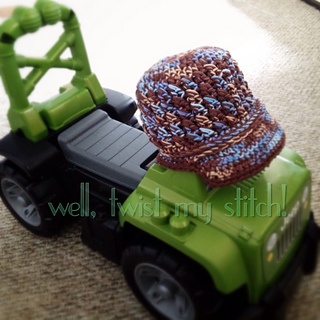 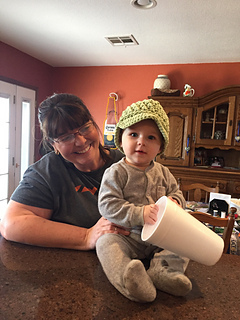 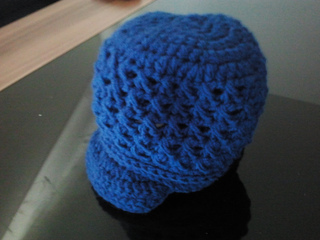 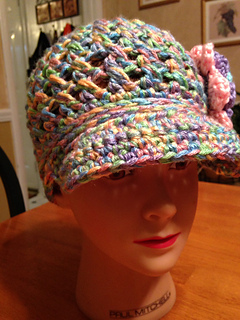 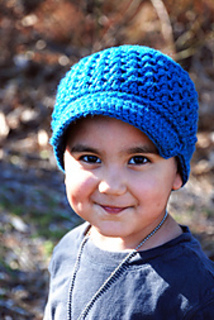 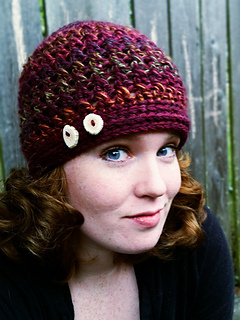 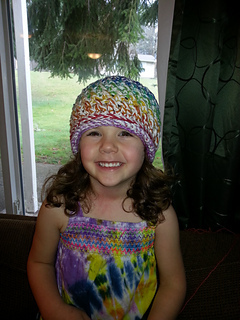 This little hat is made using a DOUBLE STRAND of worsted weight yarn, so it works up SUPER quick. 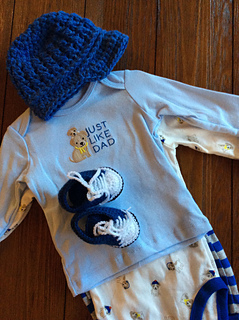 Perfect for a little boy. 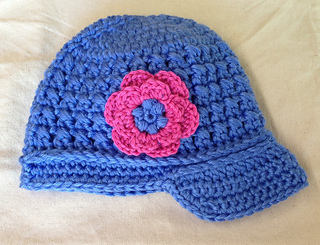 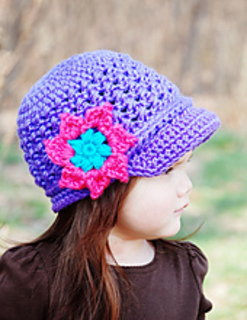 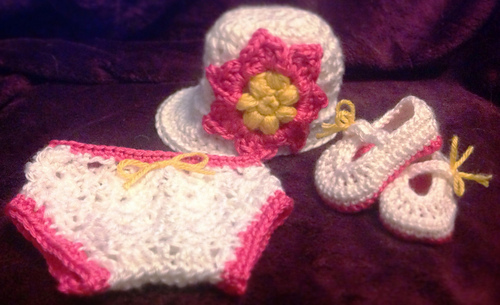 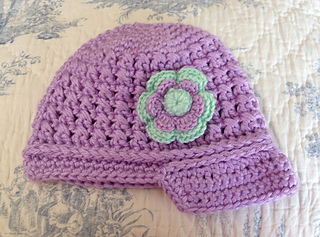 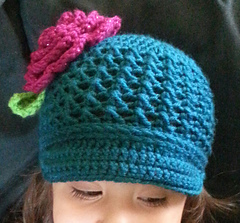 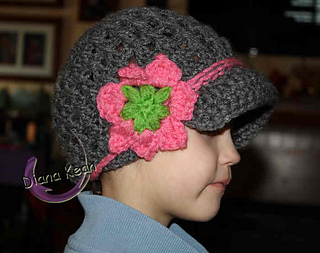 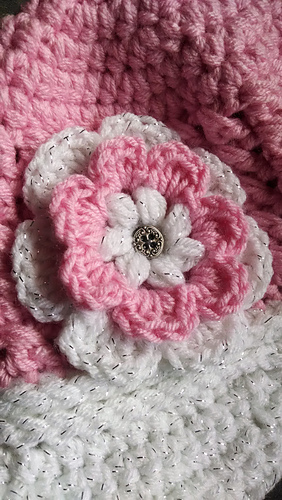 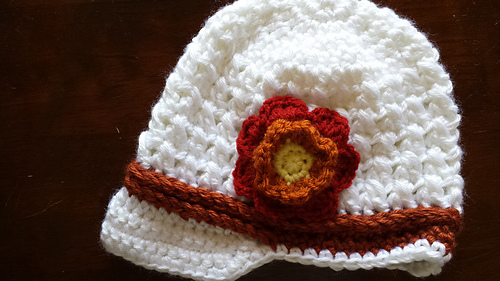 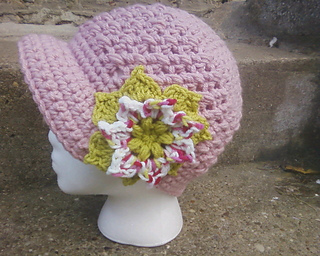 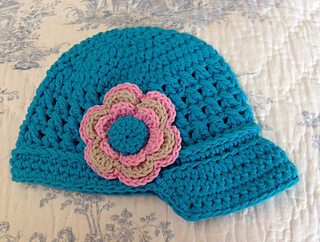 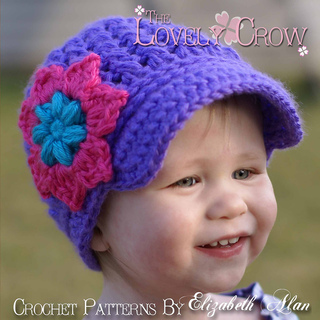 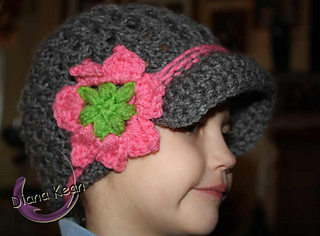 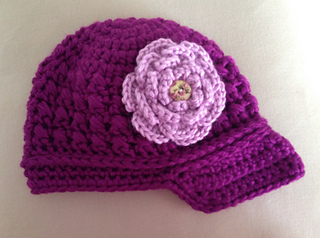 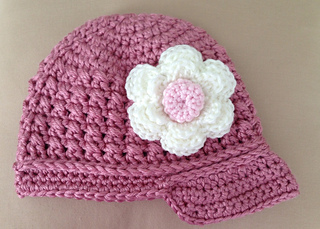 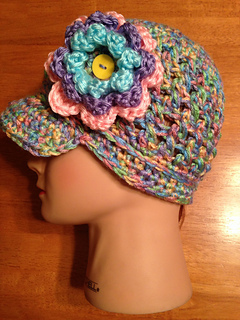 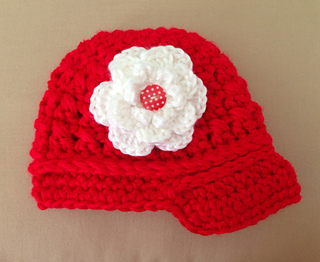 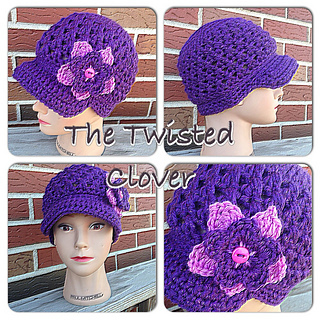 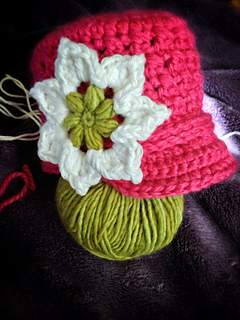 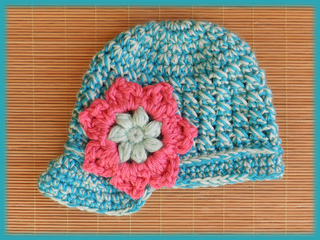 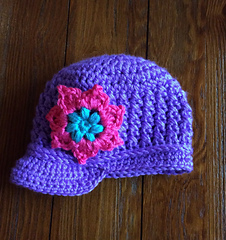 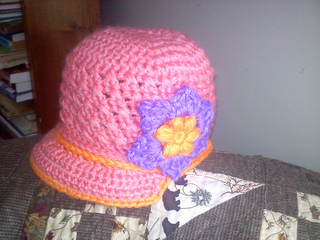 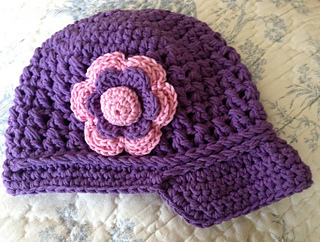 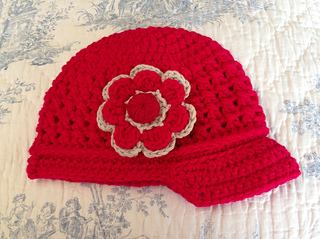 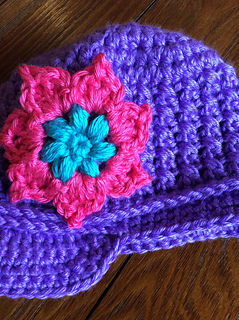 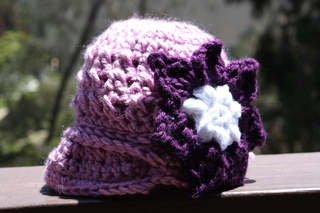 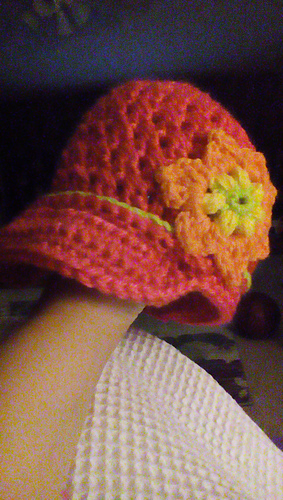 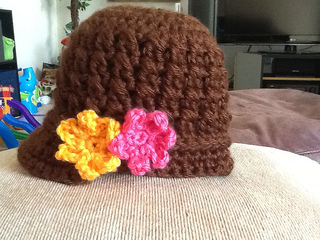 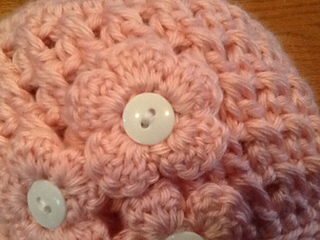 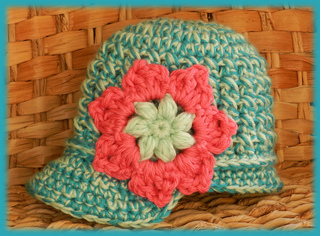 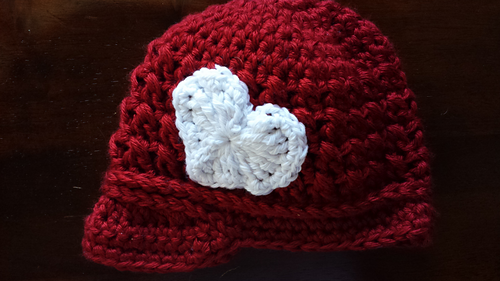 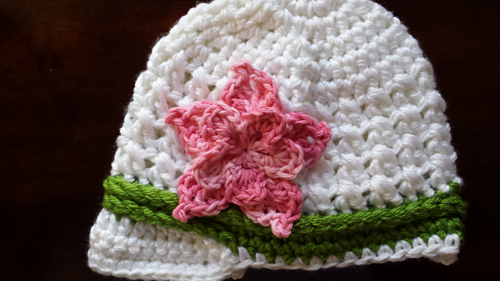 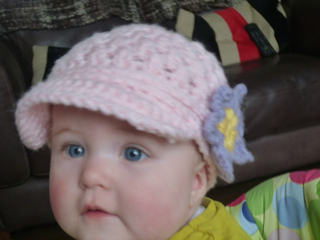 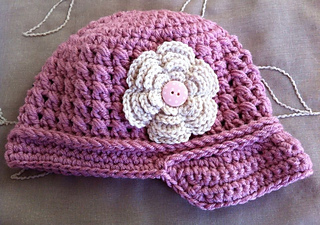 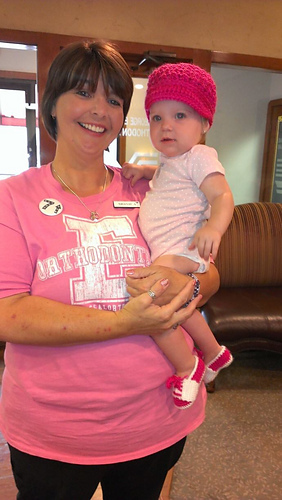 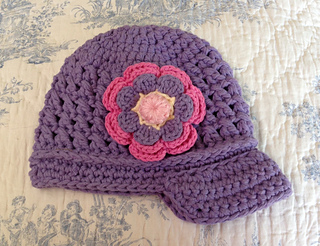 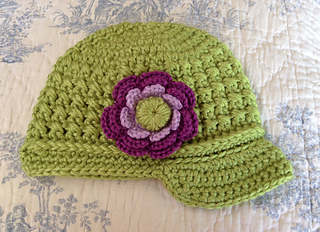 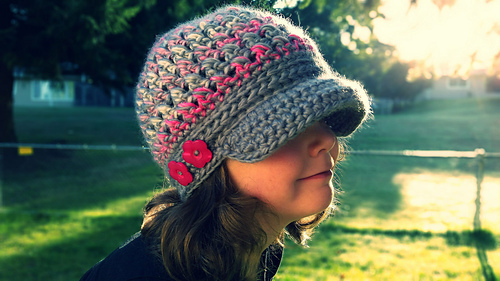 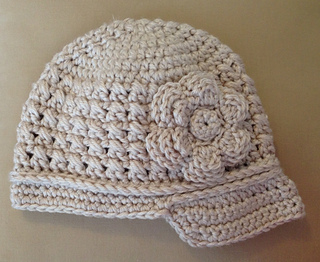 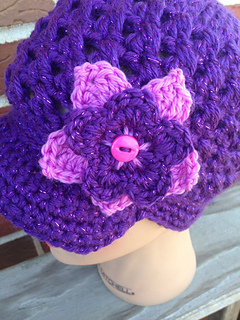 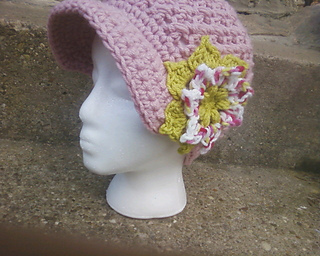 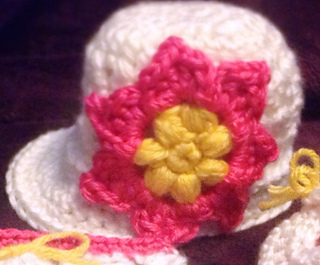 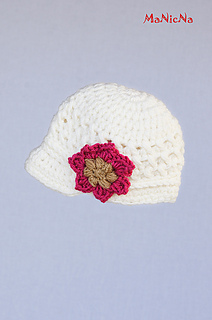 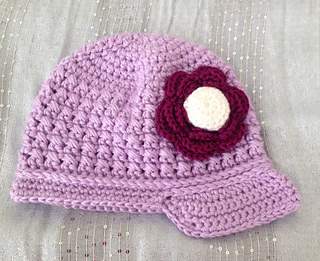 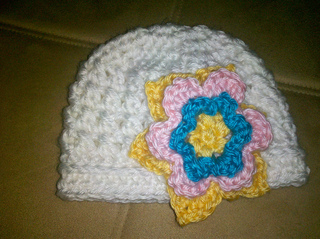 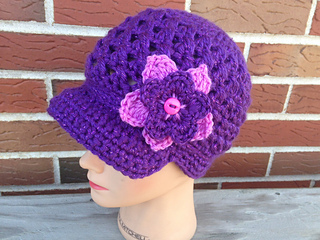 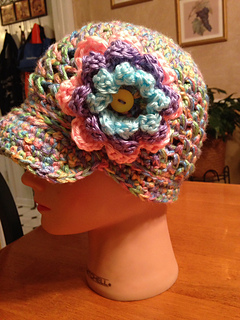 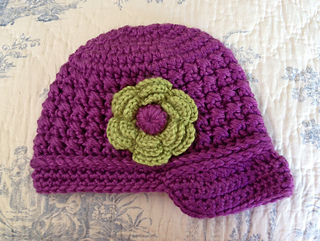 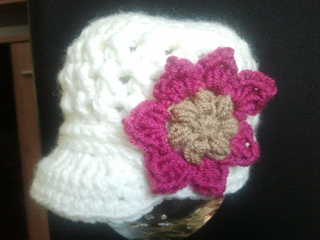 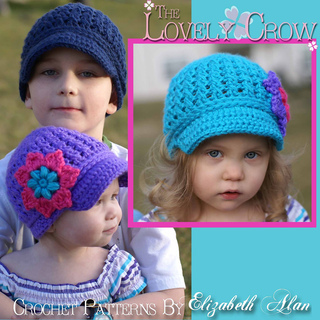 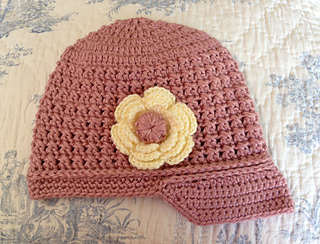 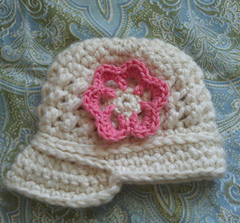 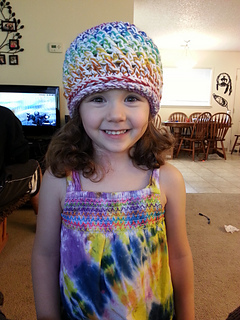 Add the flower (pattern included) and it’s perfect for a little girl! 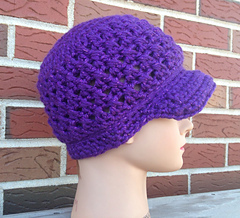 This would also look really cute with some oversizes buttons on either side of the brim. 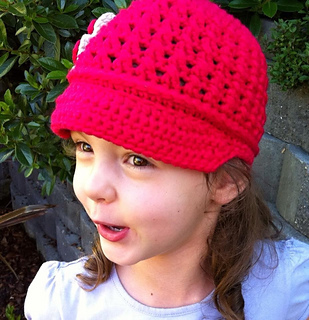 Size 0-3 fits Head Circumference 14.5”-15.5”. 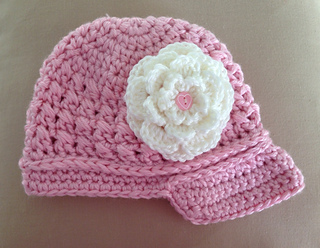 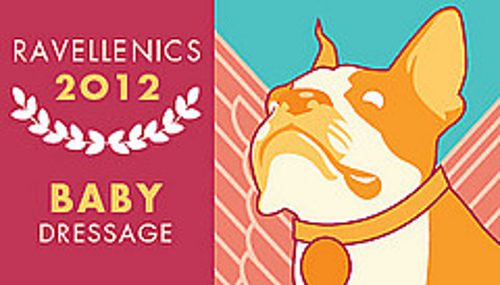 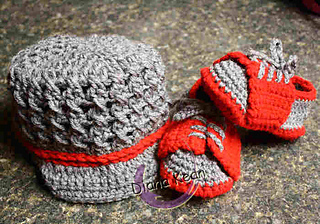 Size 3-6 Months fits Head Circumference 15”-16.5”. 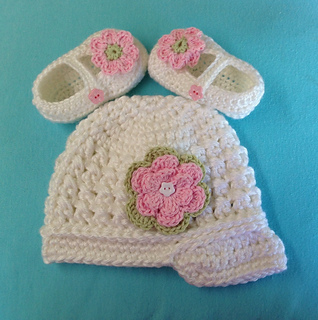 Size 6-12 Months fits Head Circumference 16.5”-18”. 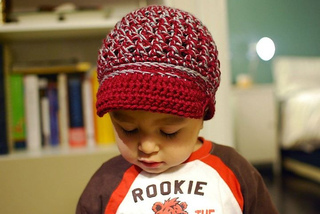 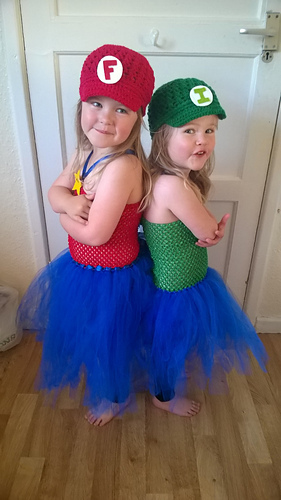 Size 12-24 Months fits Head Circumference 18”-19.5”. 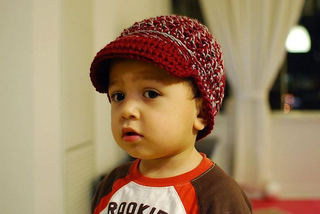 Size 2T-5T fits Head Circumference 19”-20.5”. 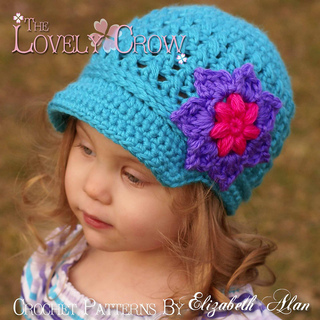 This pattern is copyright protected and cannot be changed, sold, or reproduced in any way.